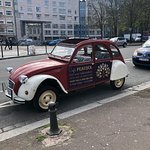 Enjoy a 1h driving tour in the city of Lille on board an iconic Citroen 2CV experience Lille's famous monuments in style. Traverse the charming streets with a Champagne break in the middle. Enjoy a 30 minutes driving tour in the city of Lille on board an iconic Citroen 2CV experience Lille's famous monuments in style. Traverse the charming streets with a Champagne break in the middle. 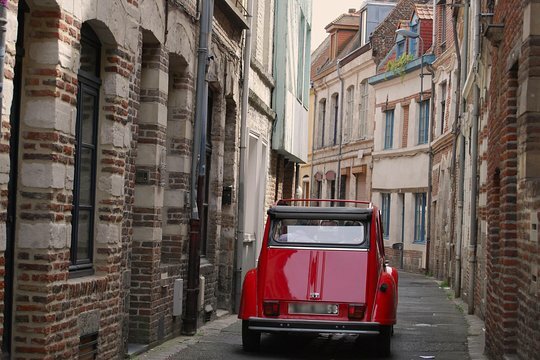 Enjoy a 45 minutes driving tour in the city of Lille on board an iconic Citroen 2CV experience Lille's famous monuments in style. Traverse the charming streets with a Champagne break in the middle. Lille is France’s fourth-largest metropolis, and the under-the-radar northern city is home to a picturesque Old Town (Vieux Lille). Despite its reputation as a cultural capital, it’s usually overlooked by tourists. Discover the hidden charms of France’s designated “City of Art and History” with a guided drive through Old Town in a stylish vintage 2CV. Lille, a vibrant and history-filled northern city, richly rewards visitors with baroque architectural gems; colorful, gabled Flemish facades; and centuries-old public squares. During this sightseeing tour, visit the charming old-city quarters and bustling public squares in a stylish vintage 2CV for an unforgettable ride. Designated France’s “City of Art and History,” Old Lille, with its cobblestoned, monument-filled streets, feels like an open-air museum. Cruise past La Vieille Bourse, Lille’s old stock exchange, with ornate, arcaded buildings constructed during the Flemish Renaissance in the mid-17th century. Peek at the city’s trademark memorial, the Column of the Goddess. The statue and fountain, built to commemorate the 18th-century Siege of Lille, front the famous Grand Place, the main square of Lille and one of the grandest in France. First-time visitors and travelers short on time will tick off all the city’s main highlights during this unforgettable excursion. Thank you Bill. 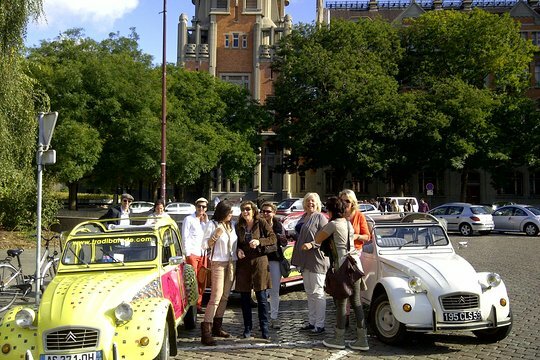 Pierre and us are happy that you enjoyed your tour and the discovery of Lille in our vintage 2CV :) See you next time ! 2CV or not 2CV that is the question. 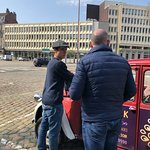 Get quick answers from Unique Tour of Lille by Convertible 2CV with Champagne Break staff and past visitors. If I book via Trip Advisor, how will I know the exact pick up time and location? Can I schedule a pick up time? i tried to book via Tripadvisor and the supplier did not respond so i received a refund, I then booked via Lille Tourist office, you will receive confirmation of where to meet and the time. For us, the meeting point was the Lille Tourist Office and pick up time was 10am. 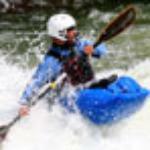 You need to contact the Lille tourist office to see if they do bookings on Sunday.